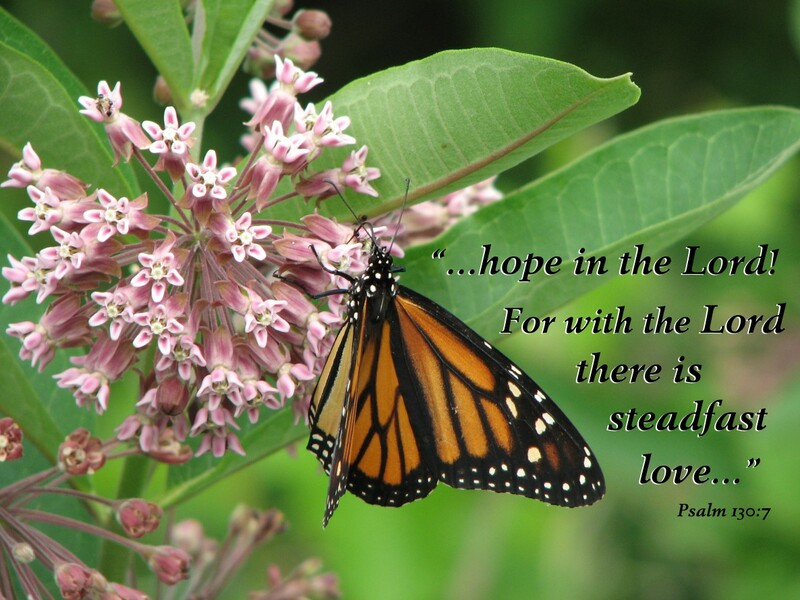 Inspiring Felicity: Hope in the Lord! This is a favourite verse and a favourite photo! This photo was taken an hour or so before dusk at the Beamer Conservation Area in Grimbsy, ON. Beamer has three beautiful observation platforms positoned on the edge of escarpment and when we stepped up on the first one we discovered several butterflies feeding on the pretty milkweed plants.